The Morris VFW Queen of Hearts drawing. 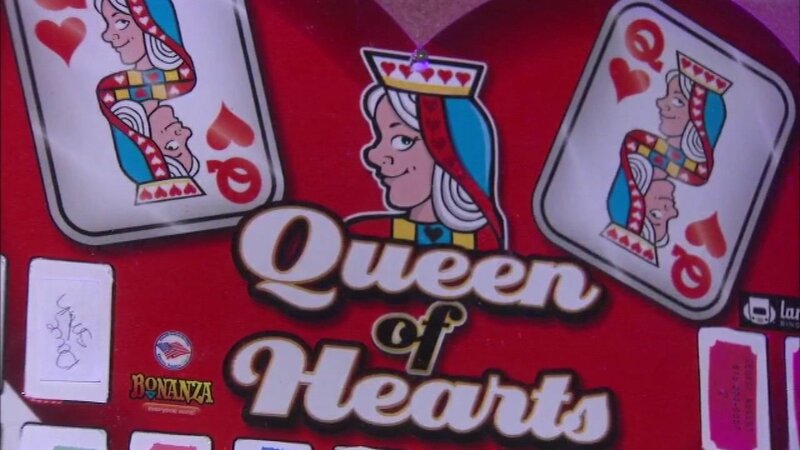 MORRIS, Ill. (WLS) -- Excitement is building once again in Morris for the VFW's Queen of Hearts drawing. The jackpot is at $1.1 million for Monday's drawing. One lucky person gets to draw a card each week from the remaining cards of the 54-card deck. The winner gets 70 percent of the full pot. The drawing will take place Monday at 6 p.m. Tickets are sold on Tuesdays and Thursdays from 6-9 p.m., on Saturdays and Sundays from noon to 9 p.m. and on Mondays from noon to 5 p.m.
Last September, a LaSalle man won a $1.6 million Queen of Hearts jackpot. The raffle took place after temporarily being placed on hold after organizers were told the drawing violated a state law and municipal code. The raffle was able to proceed after the Morris City Council unanimously passed a raffle ordinance.